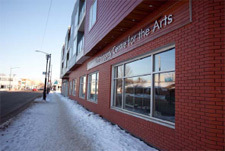 This program includes residential revitalization and neighbourhood business development. The City of Edmonton is committed to improving the livability of Edmonton's neighbourhoods and the lives of the people who live, work, visit and play in them. The City is investing in the physical and social infrastructure of neighbourhoods, working with residents to support their efforts to create the place they want their neighbourhood to be, working across City departments and improving collaboration with other organizations to deliver neighbourhood services more efficiently. The City worked with residents in 21 neighbourhoods and invested approximately $36 million in enhancements that complement work done to improve roads and drainage. From entrance signage and public art to improved landscaping, lighting and walking paths, these investments advance community-led visions and increase the neighbourhoods' attractiveness to visitors, residents and investors. The City also invested in buying and improving neighbourhood properties that will add to the area's revitalization. Alberta Avenue Revitalization (Alberta Cycle Bldg) building purchase and upgrades. Fulton Place pathway connections and lighting through Harry Hardin Park (completed in 2011). Beverly Streetscape (completed in 2010) includes streetscaping, entrance signage and public art from 42 Street to 50 Street. Meadowlark Park road resurfacing at Meadowlark Hall, sidewalk connections by the hall and recreational trails (completed in 2011). Downtown Capital Boulevard Streetscape improvements (to be completed in 2012). Parkallen improvements to alleyway connections and a walkway connection (construction completion in 2012). Jasper Place Revitalization Streetscape design (completed in 2011). Sherbrooke connecting walkway, path and arterial road connection (completed in 2011). McCauley Revitalization – includes Urban Design, China Town Frame Work, banners along 97 St., property acquisition and building upgrades (completed in 2012). Clareview Campus walkway connections to link the future Clareview Recreation Centre to the existing LRT Station (construction in 2012). Belvedere – upgrading decorative poles on Fort Road from 131 Avenue to 137 Avenue (completed in 2011). Strathcona improvements to street lighting and decorative pole upgrades (completed in 2011) and upgrades to luminaries (completion in 2011). Other types of amenities and improvements include (but are not limited to) water features, art, outdoor theatres, lighting upgrades, neighbourhood safety enhancements and leisure activities such as outdoor chess tables and seating. $3.8 million was allocated for 2009-2011 to start this program with total funding of $54 million from 2009 to 2023. Projects are currently being prioritized and assessed for feasibility for the neighbourhoods of Canora, Windsor Park, King Edward Park, Dovercourt, and Woodcroft. Future Neighbourhood improvements align with Transportation Renewal Reconstruction neighbourhoods. Four neighbourhood revitalization areas: Alberta Avenue, Central McDougall/Queen Mary Park, McCauley and Jasper Place. Alberta Avenue: Continuation of the City Council approved Avenue Revitalization Initiative (Alberta Avenue) will occur with the remaining two revitalization phases scheduled through to 2014. Central McDougall / Queen Mary Park Initiative: Design for the revitalization in 2011/2012 with construction scheduled for 2012 to 2014. McCauley Initiative: Design for the revitalization in 2011 with construction of the three subsequent revitalization phases scheduled from 2012 to 2014. Jasper Place Initiative: Design for the revitalization from 149 St to 156 St is underway with completion in 2012 and construction between 2012 and 2016. Enhancements in up to 10 mature neighbourhoods, such as walkways, public art, street furnishing and water features, in coordination with the Transportation and Drainage Renewal programs. Inglewood Streetscaping along 118 Ave. from 121 St to 129 St. and 124 St. from 111 Ave. to 118 Ave.